In a recent interaction with the media to promote his upcoming film Kalank, Varun Dhawan opened up on Student of the Year 2, the sequel to Student of the Year. The actor made his debut with the film alongside Alia Bhatt, Sidharth Malhotra in 2012. Talking about the film, Varun told India Today, "I think Tiger (Shroff), Ananya (Panday) and Tara (Sutaria) are looking superb in the film. Alia, Sid and I are equally proud and happy about it. We never thought there would be a sequel of our film and that too so soon. People still call us 'student' and I don't think that tag will go away. We never know...in Student of The Year 3, we might go back to school." 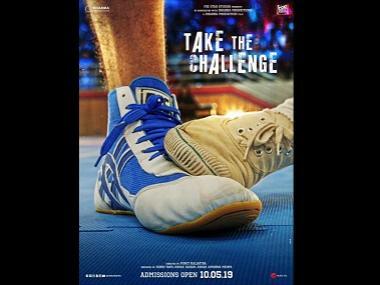 The makers on Wednesday took to their social media accounts and released posters of Student of The Year 2 along with the film’s May release date. Student of the Year 2 is helmed by director Punit Malhotra and is produced by Karan Johar, Hiroo Yash Johar and Apoorva Mehta under the banner of Dharma Productions. The film stars Tiger alongside debutante actresses Tara and Ananya and will be distributed by Fox Star Studios. It will open in theatres on 10 May, 2019. Varun was present at the promotional event with his Kalank co-stars Alia Bhatt, Aditya Roy Kapur and Sonakshi Sinha in Mumbai on Wednesday. Set against the backdrop of India's partition the film’s plot line seems to focus on religious and communal divide. The film is slated for a 17 April release.